I've been trying this new thing where I stop spending ridiculous amounts of money on things I don't actually need. I feel like I say that every month but this time I mean it. So I don't have that many products that spring to mind and I am sure that a lot of them are products I have previously mentioned. Nevertheless, if you're interested please keep reading, all the links and prices are included. The first thing is Argan Oil, I am so late to the party on this one. I put a little bit on the ends of my hair after towel-drying and I'm obsessed with the scent and the texture; I want to bathe in it. You get 100ml and a little goes such a long way. I wish this had been in my life sooner and it has replaced the L'Oreal Serum I used to rave about, because it smells better, but they both essentially do the same thing. Apart from that, I have been trying out the Original Beauty Blender. The one that's pink, and I actually really like it. For blending out concealer it is a dream, just a few quick damps and you're done . . .snap, let's go. For foundation, I find it a little trickier and it takes more patience. I would say start with a small amount of product on the back of your hand instead of pouring out the total amount you would use for your whole face. I know a lot of makeup artists use a brush first and then use the Beauty Blender to remove any excess foundation on the skin, so I might try that. I really want the black one, I am not sure how they differ, I just know the black one looks cooler. I have mentioned this product before but it is one of the best scrubs I have ever tried. It's abrasive without being harsh, and it leaves your skin feeling so soft plus it smells like a clean, sweet ocean, and isn't that what we all want? I used it after returning from Copenhagen, I felt like crap after being at the airport all night, and then spending so much time waiting at the train station and then finally getting home. I was exhausted and that shower was the best shower I have ever had in my life. I have never felt cleaner, so much so, I am going to write a post about it later. The Body Butter is pretty good too. Another slightly random favourite is that X Factor is back on. I love the auditions because you get to see people just kill it on stage without knowing what they are capable of. There are already quite a few good acts in the mix, I love Louisa Johnson's audition, she sang the Jackson 5 song Who's Loving You? it is one of my all-time favourite songs and vocals. Also, Josh Daniel's audition at the end of yesterday's episode who sang Jealous by Labrinth. I feel like he could drop a record right now and I would buy it/download it. Speaking of music, Justin Bieber and Taylor Swift both came out with two awesome new music videos to accompany their latest singles, and I am obsessed with both. I didn't think I could like anything more than Where Are U Now (I am not even going to talk about the spelling) but What Do You Mean? comes a close second, and who knows it might overtake. Watch his video below. His hair in this makes me laugh so hard, I feel it is his destiny to always have bad hair. Taylor Swift's Bad Blood music video was such a disappointment to me, she had so many awesome people in it and she could have done so much more; I was unimpressed. However, she totally brought it back with this new music video for Wildest Dreams, it reminds me so much of early Lana Del Rey songs but I dig it. You can check that out below as well. I also like the Little Mix song Hair, it's pretty good, I promise. That's all for this month, I think, I also really enjoyed Copenhagen that was cool and I got two jobs after applying to many jobs in the land, so even better! 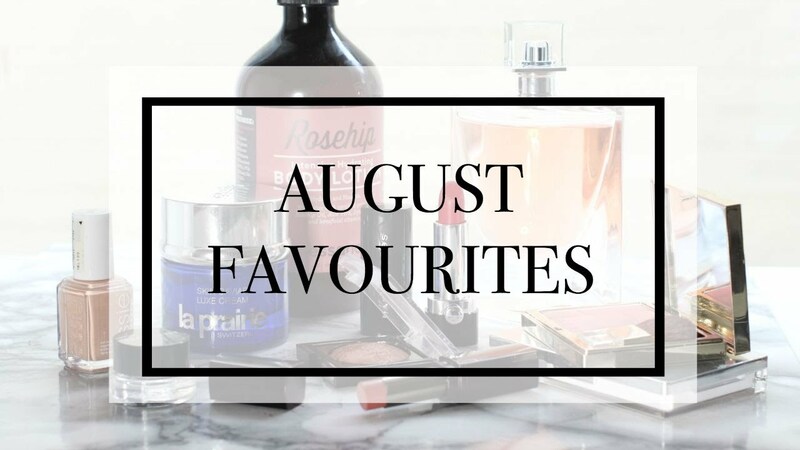 Thank you for reading, tell me your favourites for this month in the comments, all the posts for August Beauty Challenge are up so check them out and leave feedback, I appreciate it,. Take care. It takes a while to get used to I think, I really want the black one. Do you have the pink one? Definitely, I would recommend a hair oil if you have dry ends and argan oil is one of the best, plus it smells so good! Thank you for commenting lovely, and I followed your blog!